Sinfonia Cymru is an exciting and innovative orchestra made up of young professional musicians at the start of their careers. Sinfonia Cymru is a young and innovative chamber orchestra from Wales. The orchestra is made up of musicians in the early stages of their careers and is the first and only orchestra of its kind to be revenue-funded by the Arts Council of Wales. The orchestra enjoys a long-standing relationship with Deutsche-Gramophon harpist Catrin Finch. Past projects with Catrin include Classic BRIT nominated album ‘Blessing’ with John Rutter, which reached number one in BBC Radio 3’s classical chart, and a performance at Universal Live ‘Yellow Lounge’. Collaboration forms a key part of Sinfonia Cymru’s work. In 2013 Sinfonia Cymru worked with Ballet Cymru on TIR & Celtic Concerto (featuring Cerys Matthews and Catrin Finch), an award-winning production of Romeo and Juliet at The Riverfront, as well as with The Clod Ensemble on ‘Anatomie in Four Quarters’ at Wales Millennium Centre. In 2013 Sinfonia Cymru embarked on a major project to develop and launch a new way of working for chamber orchestras. This included establishing Curate, a group that brings together orchestral musicians, administrators and other young creatives to express their artistic ideas and develop their own projects. 2013 saw the development of UnButtoned at Chapter Arts Centre; a collaboration with BAFTA-Cymru award winning musician Tom Raybould, featuring a score which integrates live and electronic musical performance with live reactive visuals. UnButtoned will be further developed throughout 2014 with performances planned for later in the year. In 2014 Sinfonia Cymru has worked with actor Richard Harrington (star of S4C Y Gwyll / Hinterland), with harpist Catrin Finch and young conductor Ben Gernon, and alongside Bryn Terfel as Sweeney Todd in Llangollen International Music Eisteddfod. 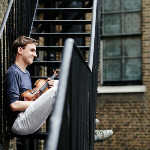 The orchestra looks forward to performing at The Bristol Proms in July, welcoming back pianist Llŷr Williams for a double concerti programme in November and taking part in a new major European project with partners from across the continent this year, hosting a unique four-day festival in partnership with RWCMD that celebrates the music from each participating nation.